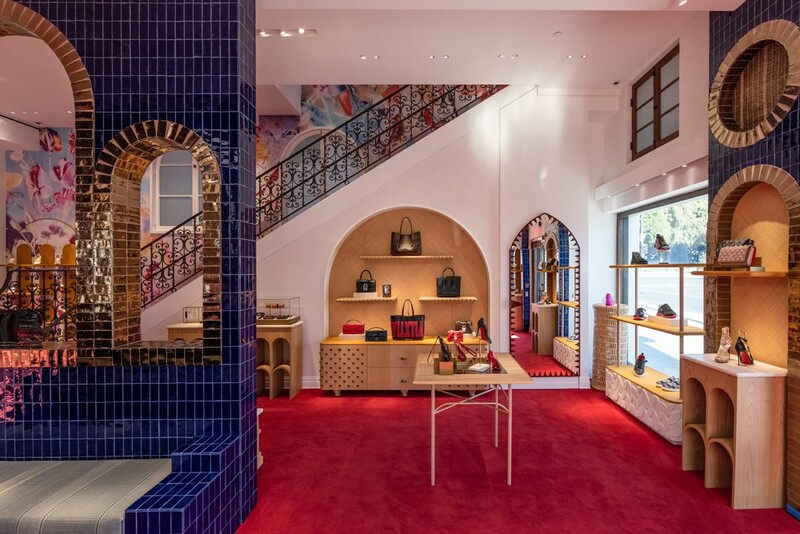 Enter: Christian Louboutin’s Paris atelier. 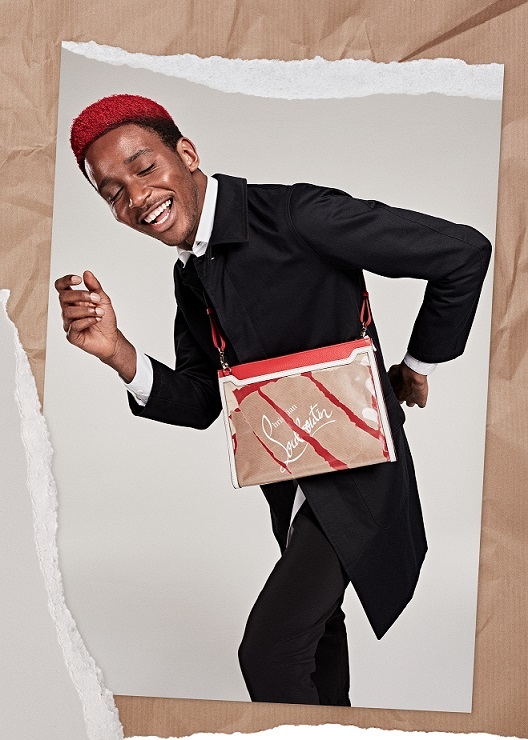 On the floor of the studio, strewn amongst the brand’s unmistakable kraft paper shopping bags and shoe boxes, measuring tapes, endless heeltaps and patterns, we’re greeted by AW18’s hallmark collection, Loubi in Progress. Redefining deconstruction as the new construction, Loubi in Progress gives a stylistic nod to Christian Louboutin’s iconic “Trash” technique, which originated in the AW11 collection when pieces of thread, postage stamps, scribbled notes, leftover sequins and fabric swatches from seasons past were collaged under PVC to select styles. 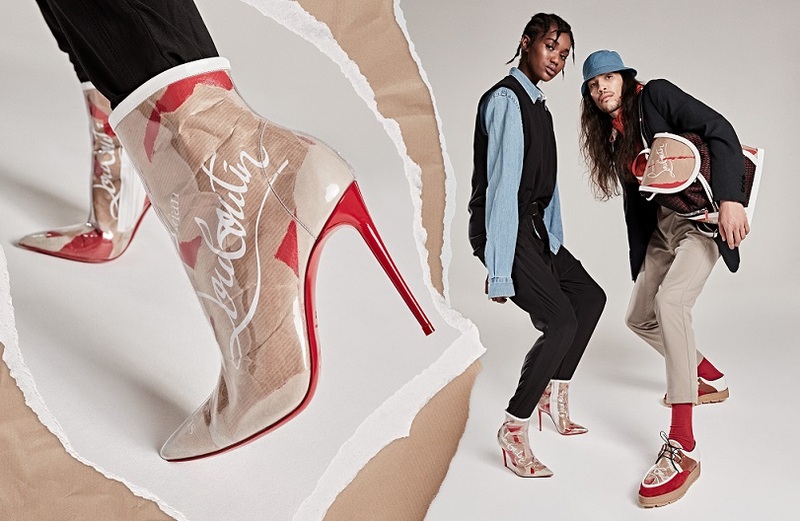 Yet again, we’re taken behind the scenes of the designer’s creative process as pieces of kraft paper from the brand’s shopping bags are torn by hand and encapsulated in PVC on women’s styles So Kate, Louis Women and a new bootie for fall, Croche Kraft, as well as Huston, Louis and Lou Spikes for Homme. Paloma bags of all sizes for women and Skypouch and Explorafunk Backpacks for Homme receive the same tailored treatment. Referencing couture techniques, measuring tapes are utilised as bows on styles Metrisandal and Metripump, while the raw stiletto support used to create Christian Louboutin’s sky high heels remains uncovered. The final touch: the shade “Loubi” is born. The rich, true red Christian Louboutin is known for comes to life as an all-over shade for the first time ever and for seasons to come. Transport to the fantastical couture ateliers of Paris with Loubi in Progress beginning May on ChristianLouboutin.com, at Christian Louboutin boutiques, and on @LouboutinWorld.